Why drinking water really matters. Drinking water isn’t just a good idea … it’s vital to who you are. Your body has a natural instinct to drink water. The vast majority of people not only ignore this instinct but suppress it throughout the day, and they don’t even know it. Most of us understand it’s a good idea to drink water. Just do a search and you’ll find countless articles on the web advocating hydration. So many, in fact, that it’s become a message that largely falls on deaf ears. In first-world countries, easy access to clean drinking water has become a convenience we take for granted. So now, when we experience health issues, we often overlook one of the most transformative, natural substances on our planet, and instead turn to medication at the drop of a hat. Consider these stats. Water makes up 55–75 percent of our body, and it is integral to every bodily function. Our brain and heart are each made up of 73 percent water and our lungs are 83 percent water. Water lubricates the joints, prevents the skin from drying up or potentially breaking out, and is essential for muscle use. Take away water and blood pressure decreases, leading to weakness, dizziness and fatigue. Nearly every one of your body’s systems require water. As such, every single disease can be positively affected by proper hydration. If so much of our health relies on water, why is hydration such a small point of emphasis in our daily lives? 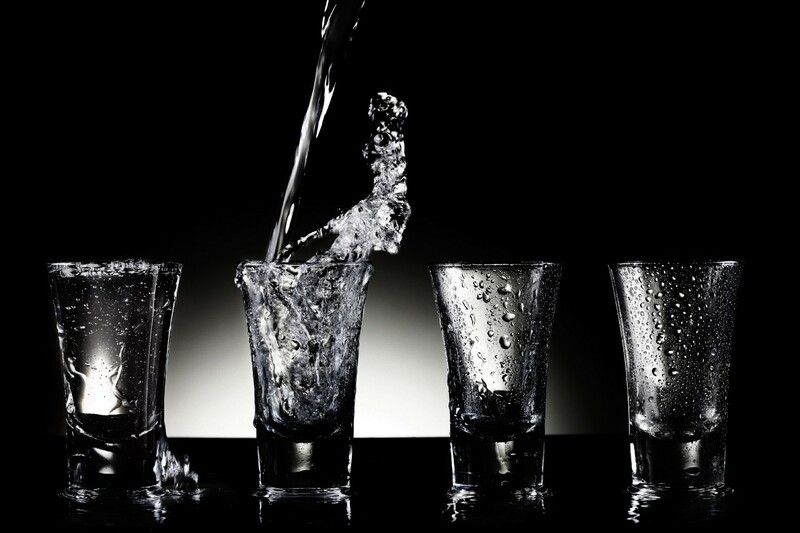 Although we may know to drink water, the majority of us still don’t drink enough. And I’ve noticed three common excuses (or symptoms) for thirst suppression that are important to understand and overcome; maybe you’ve experienced them yourself. This is the most common excuse I hear from people who fail to hydrate. What they don’t realize is that they have actually suppressed the thirst signal their body is sending them. Over time, the signal stops and our bodies believe we are in an area where water is scarce. When we ignore that initial feeling of thirst, it seems to go away and we quickly forget about it. This is something that our body does for other senses too. It’s called neural adaptation, and it’s something I’m sure everyone has experienced in their lifetime. Have you ever entered a room and smelled something strong, only for it to go away in a matter of minutes? Jumped into a hot tub that quickly went from scalding to comfortable? These changes are neural adaptation and they are useful — most of the time. With hydration, however, it’s not always a good thing. Once we ignore that feeling of thirst, our body’s thirst signal, we are telling our bodies that water isn’t available. The body responds by diminishing that thirst signal to conserve energy, and then holds on to the limited reserves of water already in our body. In fact, studies have found this lack of thirst recognition actually increases as we age. If you can’t or don’t like to drink water, that’s a symptom of a bigger issue. And here’s why. Water is foundational to our health. We can’t survive without it. So why would our bodies tell us to reject it? Why would we build up a “preference” against it? The answer is simple. We have altered our palates to crave different flavors and sensations, like sweet, salty or carbonated. The same thing happens when a dog is fed scraps from the table and starts ignoring the dog food that is more beneficial to its health. Before the days of unlimited drink options, we craved sugar or “sweet” for one purpose: to gain energy. Now, that evolutionary desire has backfired in a sense. We have raised our tolerance for these drinks to a level that is unhealthy and potentially toxic. As we drink more soda or juice, especially artificially sweetened ones, they become the only beverages that satisfy us. Suddenly, water seems tasteless and foreign to our palate. If you don’t believe me, try quitting all sugary beverages for one week, and then try drinking a Coke. Trust me, you’ll barely be able to get it down. Do you know of any animal that forgets to drink water? Animals are naturally driven to hydrate as they hunt and forage throughout the day. Humans, however, are different. Our lives are filled with distractions that knock us off of our natural drinking cycle. For one, most people’s days are structured around three meals. But this is a societal construct, not a biological one. We subconsciously limit our drinking times to breakfast, lunch and dinner. During those times, many of us will drink only one glass of whatever beverage we’ve paired with the meal. In addition, we are so used to making mealtimes an experience that we often pair flavored drinks with meals for taste. If you eat fast food, the meal usually comes with a soda. The crazy part is that many of us don’t even realize we’re dehydrated. We can go days without drinking a glass of water, and have become accustomed to not feeling our best. I know this because I used to do it too. This is an extremely important issue that is frequently overlooked. Countless individuals struggle daily with problems that could be alleviated with proper hydration. But this isn’t our fault. No one ever taught us how to properly hydrate because no one had definitive answers as to how or why. To this day, there is still a surprising lack of research on hydration. However, there is one thing we can depend on: our instincts. Our bodies know how to thrive, we just have to give ourselves the chance to do so. Reawakening our natural thirst instinct is vital to health, and the process starts with drinking more water and eliminating beverages that don’t benefit us. You can see massive benefits by simply putting a greater emphasis on your hydration and it can happen in just a few days. So, grab a big glass of water and reclaim your natural thirst today.